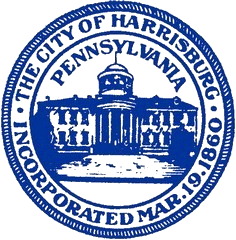 The Bureau of Codes of the City of Harrisburg hereby institutes and promulgates the following fee regulation pursuant to Ordinance 8-2015 Section 4, 6-505.3(B), known as the "Mobile Food Vendor Ordinance." All mobile food vendor licenses shall be subject to an annual $500.00, non-refundable, license fee which shall be paid no later than December 31st of each year for the next year's license period. The license fee shall not be pro-rated. Pursuant to 6-505.3(G), the Health Officer is authorized to deny, revoke, or suspend any mobile food vendor license for non-payment of the license fee. License fees for calendar year 2016 shall be due and payable to the City at the time of submission of the permit application. I need information on City Council meetings, sessions, etc. Who do I contact?